Courtney Smith is an artist working in sculpture and performance. Raised in Paris in the 1970s and early 1980s, she went on to study in the United States, graduating from Yale University in 1988 with BA in Comparative Literature and Art. Shortly after graduating, she moved to Rio de Janeiro where she lived uninterruptedly for eleven years. In Brazil, she studied at the Escola de Artes Visuais do Parque Lage and established herself as an artist active in the Brazilian context of the 1990s and early 2000s. In 2000 she transferred her base to New York and began exhibiting internationally, maintaining a studio in Brooklyn and also in Rio. In 2004 she met her partner, artist Iván Navarro, with whom she joined forces personally and professionally. After years of isolated collaborations, in 2014 Smith and Navarro formed a specific category of conjoint work in sculpture and performance, which Smith now pursues exclusively. As an individual artist, Smith has exhibited her work throughout the United States, Europe and Latin America. Her work has been shown in Latin American institutions such as the Museu de Arte Moderna-São Paulo, Museu de Arte Moderna-Rio de Janeiro, Museo de Bellas Artes-Buenos Aires, Museo de Bellas Artes-Santiago de Chile, Centro de Arte Contemporaneo de Mexico DF, as well as the 24th Bienal de São Paulo and the 8th Bienal de la Habana; and in institutions in Europe such as the Centro de Arte Reina Sofia in Madrid, Culturgest in Lisbon and the Whilhelm-Hack Museum in Germany. In New York her work has been shown in numerous galleries and museums including PS1-MoMA, Museo del Barrio, the Chelsea Art Museum, the Brooklyn Museum and the Museum of Arts and Design. She has been a visiting artist or invited to present at institutions such as the California College of the Arts, Parsons School of Design, the University of Texas at Austin School of Architecture, American University in Washington DC, and her work has been featured or reviewed in publications such as The New York Times, The New Yorker, Art Forum, Sculpture Magazine, and Flash Art among others, as well as referenced in a number of scholarly publications. 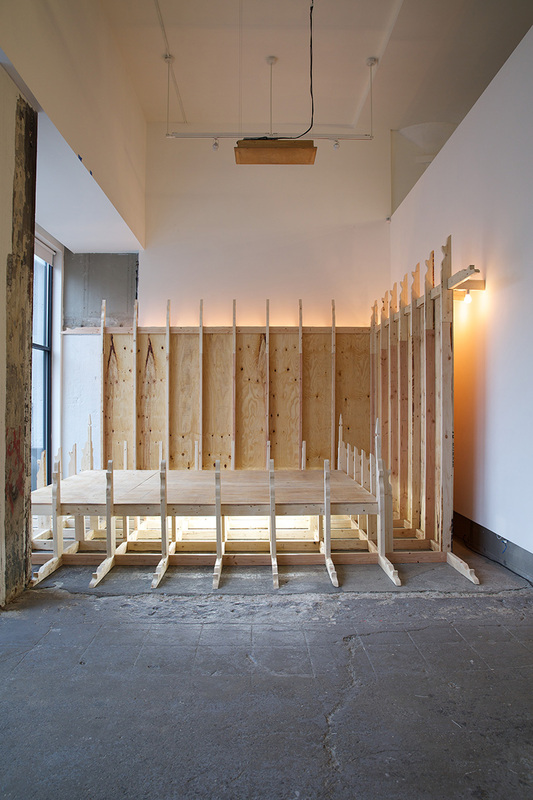 At this point in time, Smith considers her exhibition history, as outlined above, a closed chapter, distinct and disconnected from the direction her work has has taken since 2014. 2014 marks a rupture with her professional past and a reformulation of her artistic project by recasting its fundamental objective and its field of operation. Having reached a point where she felt no longer willing or able to make work as finished objects for exhibition, she began to make sculpture for the sole purpose of being momentarily activated in the context of delimited, guided social interactions: “functions” which she creates in collaboration with Navarro. Since 2014 Smith and Navarro performances have taken place in a variety of contexts, such as workshops, unoccupied buildings or public spaces, either as independent initiatives or commissioned by institutions. Smith and Navarro spent the year of 2015 living and working in Santiago de Chile, returning to their Brooklyn base in 2016. Artists’ book Konantü: Courtney Smith & Iván Navarro was published in 2016 by Ediciones Popolet.